While the gathering of the world’s audio community sees companies from around the world congregating at the MOC Munich I, while of course shuffling to see as much as is possible under the almost overwhelming audio fare, had a particular interest in home-grown exhibitors. Our SoundStage! Network’s multiple part report (link here) covers nigh on the entirety of High End 2018’s smorgasbord of quality audio offerings, so here I concentrate on some scrumptious savourings from Down Under. By the way, although Döhmann Audio is not part of the story because the company did not exhibit, I came across several rooms where the Helix turntables were used as the analogue source. Kudos Herr Döhmann! After arriving at the MOC on the first day of the show and spending the usual meet, greet and prepare time at the Press Bureau, I hit the show floor running by snaking my way to Australia’s SGR Audio room which they shared with digital specialists MSB Technology. 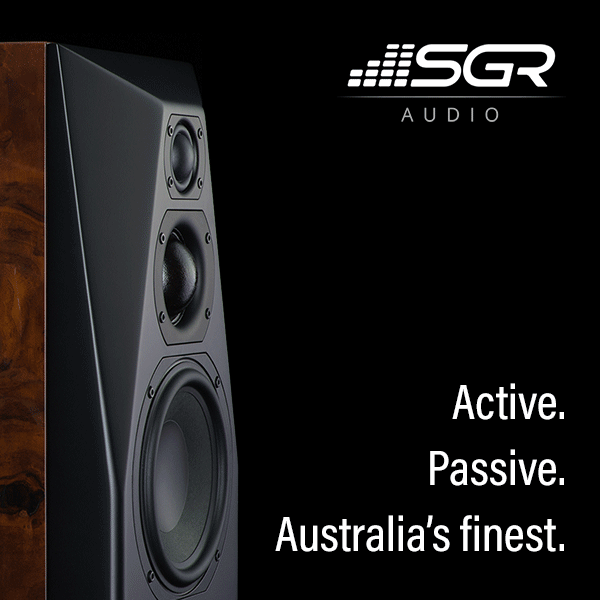 There I found the ever affable – and extremely talented, I might add – Stuart Ralston, Founder and Head Engineer with support from his wife Belinda and SGR Audio’s Marketing Manager Matthew Sweet. On display were the svelte and all-dressed-in-white new 4-way CX4F Mk2 active speakers with claimed world-first ‘current drive’ technology. Another first for the company is its presence in the Atrium level of the multi-room exhibition space where no Australian speaker manufacturer has exhibited before. Kudos to this most enterprising of companies. Also on display were MSB Technology’s new racking system (courtesy of SGR Audio’s manufacturing expertise) which is based on SGR Audio’s new Statement Model V (full review coming soon). The MSB version has been specifically designed to accommodate MSB Technology’s components, down to the curved platform sides (which allow added air flow around MSB’s ventilation outlets) and the special material insert couplers that accept the electronics’ spiked feet system. MSB was featuring its new Reference disc transport and Streamer/Renderer with the various digital components being hooked-up via the company’s newly-developed fibre interconnecting interface, the MSB Link, which looks like the product of a fun night between TOSLINK and Ethernet connectors. The new interface is capable of up to eight channels of digital communication between the various components and has built-in error correction. This digital componentry features considerable technology and engineering prowess with capabilities for MQA decoding, is a Roon endpoint, and is compatible with up to 32-bit/768kHz playback. Here the performance was excellent. I was impressed by the spaciousness and openness of the sound where the speakers managed a great disappearing act. The depth perspective was tremendous as was the bass power and solidity. I returned to this room several times during the show and each time the system’s performance had improved incrementally (Stuart Ralston told me he spent considerable time post-show each day to further fine tune the system). This system will appear in my ‘Favourites of High End Munich 2018’ feature publishing soon. If you’re thinking outrageously designed audio from the mind of a master industrial artist, then you’ll most likely land at the Metaxas & Sins audio creations. 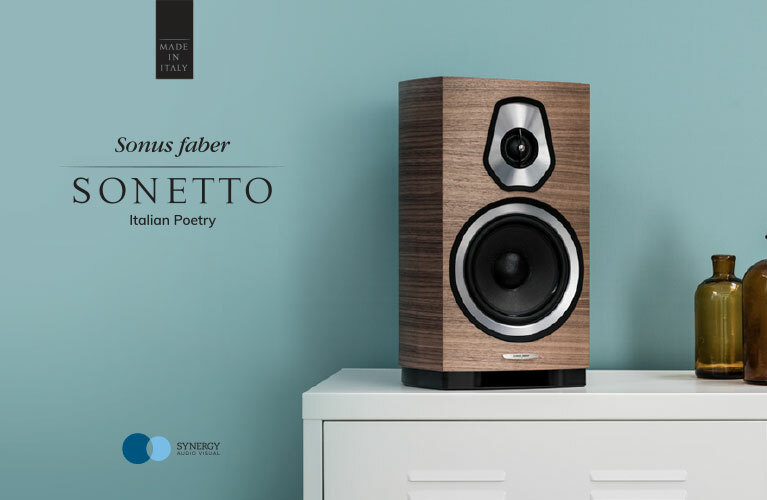 Undeniably attention-grabbing for both its styling and build quality, Kostas Metaxas’ works of audio art however also promise sonic performance based on aspects of their design that combine form and function. Much has been written, and displayed, on the skull headphone amplifiers. This year, Metaxas & Sins follows-up with a new turntable – here’s a mouthful – Phonographic Perambulator PP1 (AU$35K) with titanium arm (AU$9K) and a stunning, reel-to-reel creation called GQT, a “Stellavox on steroids” as Metaxas put it (AU$48K with recording option, AU$42K without recording). Metaxas has had a long history of producing exceptional live recordings from around the world. 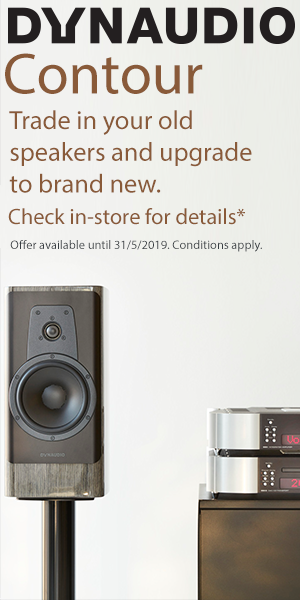 A buxom lady-like figure, the new Diva “2-way speakers plus subwoofer” as Metaxas describes them, features high quality ceramic drivers and a superb machined aluminium… figure. All were on static display in the Hall space on ground level where Metaxas played host in his usual flamboyant and accommodating way. We will discuss a review item with Kostas Metaxas for the not too distant future. Further along the massive halls I found the stand for KLE Innovations. KLE Innovations is a company founded by the inimitable Keith-Louis Eichmann who was the creator of the original and famed RCA Bullet Plug and who followed-on with a number of other connecting options based on similar principles. Also known for his cable products, Eichmann now has expanded KLE’s lines to include redesigned plugs and sockets while also offering a wide range of cable products using Eichmann’s proprietary construction methodologies and his RF-blocking techniques. We are familiar with Eichmann’s previous cable explorations and have high respect for his creations. KLE Innovations use materials and cable topologies which have been perfected by Keith-Louis Eichmann over many product generations. Advancing into the catacombs further saw me bumping into yet another Australian (actually American living in Queensland) in ETI Research’s Kevin Best, who was showing a whole lot of connectors of very high quality and with strong DNA from the original Bullet Plug. On show were the company’s generational evolution product lines named Link, Kryo, Nexus and all feature quality connectors available in all commonly used configurations. A new high-end line called Tempo features slick-looking RCAs employing high quality screw/mechanical termination options which make for easy cable assembly for those who consider themselves soldering klutzes. ETI Research’s products employ high quality materials including copper, silver and aluminium alloys. Hi-Fi Deluxe is a small ‘off-Broadway’ sideshow held at the Marriott Hotel in Schwabing. There, very boutique-ish (some less so) brands show products that range from the traditional, to the courageously advanced, to the quirky innovative and to the absolutely astounding. Among them, in an island of calm and sanity, I found the welcoming Mark Thomsen, Founder of M8Audio. 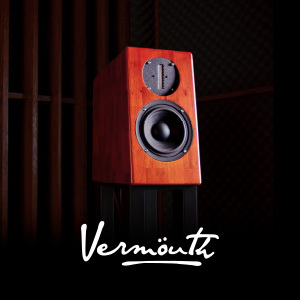 This steadily developing company was showing its Sweet Maxwell (AU$6500) standmount speaker, in gorgeous Tasmanian Blackwood, powered via the very interesting Malvalve monoblock amplifiers (EU11K) with external transformers and a Malvalve preamplifier (EU10K). On static display were the unusually styled and diminutive Rocket 5.1 with their matching Sub OneTen subwoofer, all sporting a beautiful white matt finish. Thomsen is not only the electrical/acoustic engineer behind his creations but he has also invested in milling machines – “I love timber and working with wood” as he told me – to produce the exquisite cabinetry in-house. Evidence of the great work is outwardly displayed by the little Rocket 5.1s which feature a dual wave-like curvature usually associated with designs costing far more (it’s a costly exercise to shape cabinets in anything other than square, rectangular corners). 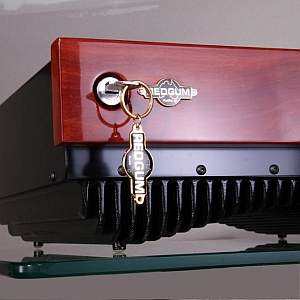 Listening to the Sweet Maxwell speakers was a very pleasurable experience. 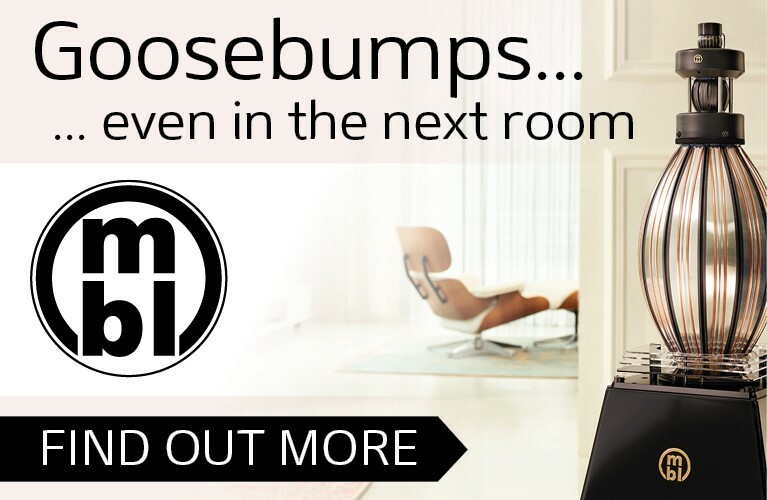 Thomsen selected a variety of music provided by Tidal via a Metrum Acoustics DAC/Streamer. While starting mellow with Mark Knopfler and others, Thomsen then turned it up with a track by hard rockers Disturbed live at the Conan Show where they performed an acoustic rendition of Simon & Garfunkle’s “The Sound of Silence” which I found mesmerising. While in that vein, I requested A Perfect Circle’s “The Noose” from the Thirteen Steps album which rocked the room with powerful dynamics and surprising bass punch for the speakers’ size while showing very little sign of compression. We are scheduled, and look forward to, reviewing these very promising speakers in the upcoming weeks. Further, the all-round excellence of the products displayed spoke volumes about the master craftsmanship, the passion and the inventiveness that springs from our corner of the world. Let’s hope for a bigger and even more fruitful presence at High End Munich 2019!